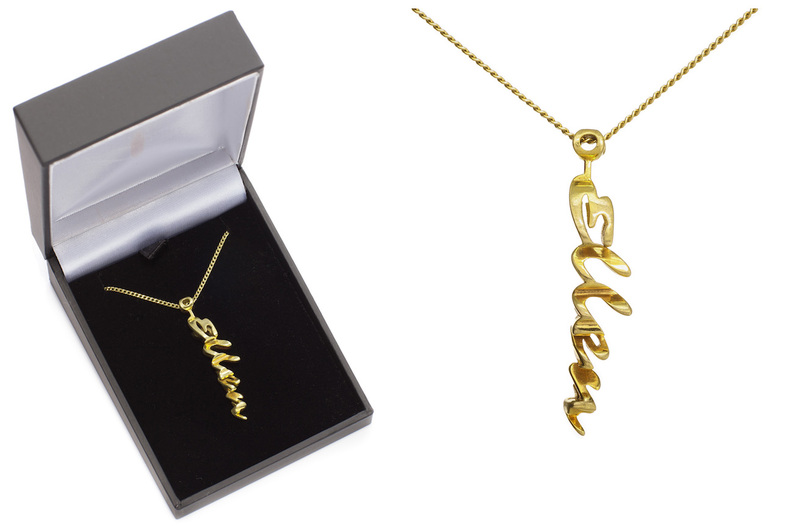 Choose your two favorite names or concepts and bring them together in a beautiful brass Twine! This durable and stylish material has an almost velvet shine and is slightly darker than gold. So the same chic look … but for a substantially lower price. Custom made of brass, you can choose names or concepts up to nine characters. Because each Twine is unique and because of the costs of precious metal, we can give you the exact price only after you have entered the names or concepts. The precious metal Twines are, as for weight, portability and appearance, slightly smaller than the plastic Twine. The delivery time is 15 to 17 working days.